보안서버 SSL인증서는 사용자의 인터넷 브라우저와 사이트의 웹서버 상의 암호화 통신을 지원하여 해킹을 당하더라도 고객의 개인정보를 소중하게 지켜 줍니다. Active-X 등 응용프로그램 배포를 위한 인증서로 응용프로그램을 배포하는 회사정보를 인증하여 안전성과 신뢰성을 보장해줍니다. 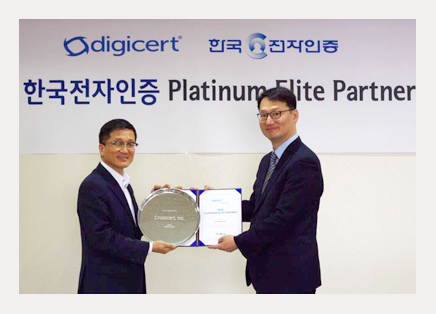 At the Platinum Elite tier, you are one of DigiCert’s most invested partners and have achieved the highest level of performance. This is by invitation only. 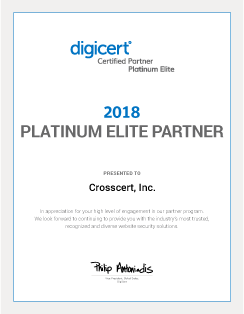 At the Platinum tier, you are one of DigiCert’s most invested partners and have achieved the supreme level of performance in meeting a bookings threshold of $250K USD annually. At the Gold tier, you have invested in your DigiCert partnership through the achievement of the next level of bookings threshold requirement of $75K - $250K USD annually. At the Silver tier, you have exceeded the minimum partnership bookings requirements of $5k - $75K USD annually. 마케팅, 재정 혜택, 및 인력 지원에 차등을 두고 있다.